This font includes all lowercase. Uppercase letters have been replaced by a variety of arrow designs. Mix and match to create your own unique designs. 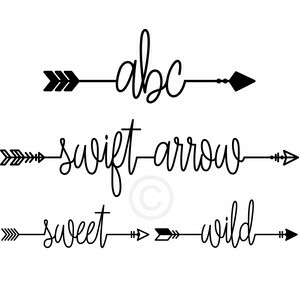 Swift Arrow font has a sister font (Archer font) which you can use together.